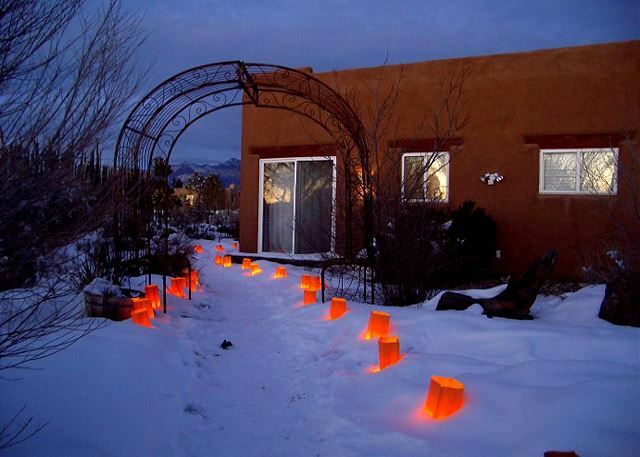 Built in 1998, this custom built Taos adobe vacation rental home is the epitome of charm and artfully stated elegance. 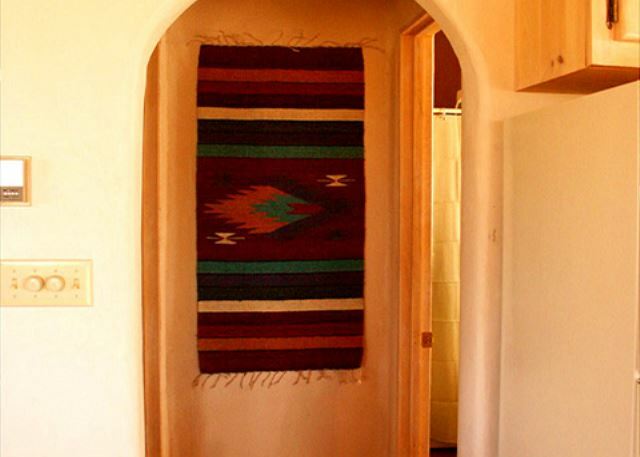 Sparkling clean and made of all natural authentic materials, the floors are handsome Mexican saltillo tile, the ceilings are all natural traditional wood vigas. 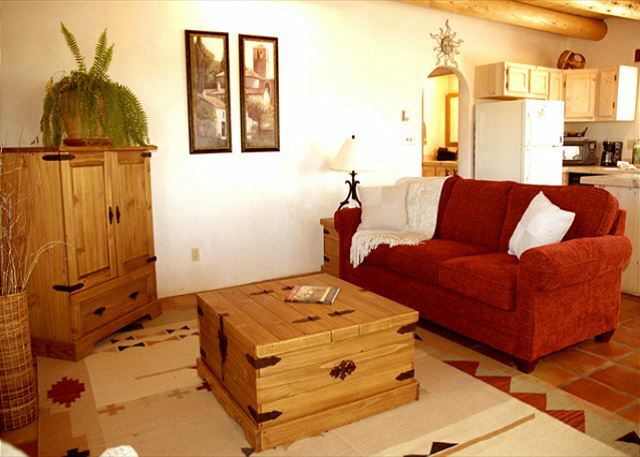 The interior walls feature soft, flowing rounded plaster lines with a lovely sculptured kiva fireplace. 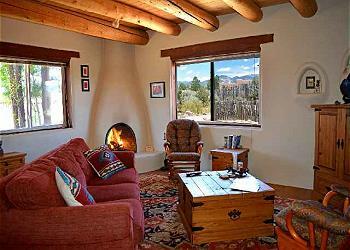 Large picture windows allow for plenty of light, warmth and spectacular views of the Taos Mountain Range. 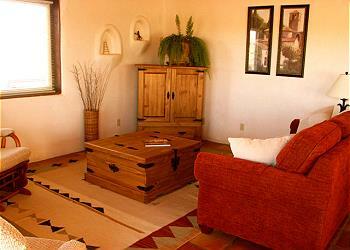 The furnishings are delightfully southwestern and colorful. 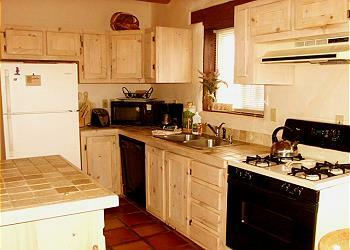 A cheerful and complete kitchen with serve-over counter has custom cabinets and Italian marble tile. 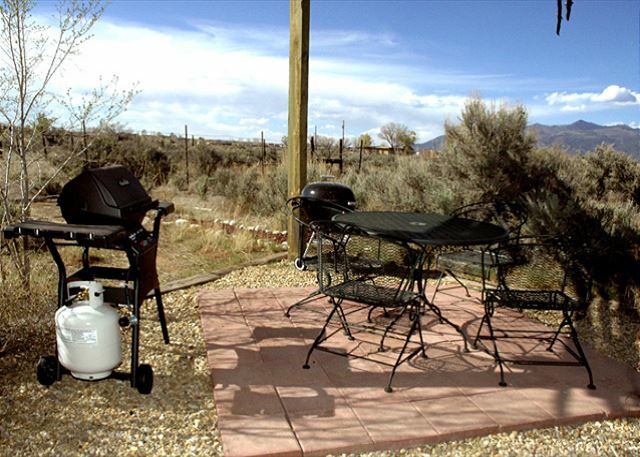 The Patios (one with shaded portico) allow outdoor dining and relaxation spaces, while the large private hot tub serves as a focal point for relaxation and enjoyment offering spectacular daytime mountain views and million dollar night sky views. 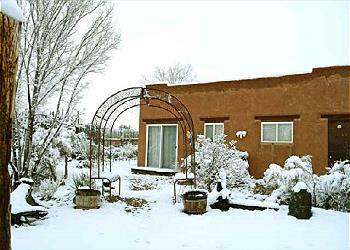 Casita Romantica is located 5 minutes north of Taos, NM on the way to Taos Ski Valley. There are several wonderful restaurants nearby, including a fine northern Italian restaurant, a Mexican restaurant, a New Mexican restaurant/dance spot with live music, a pizza shop and an excellent Continental bakery/deli/coffee house. A ski-rental shop and a white-water rafting company are close by also. 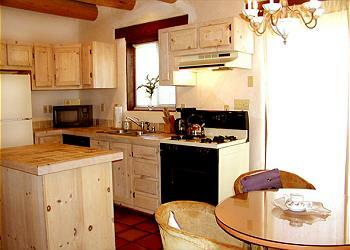 Ideal for a honeymoon, intimate Taos getaway, or a family vacation. 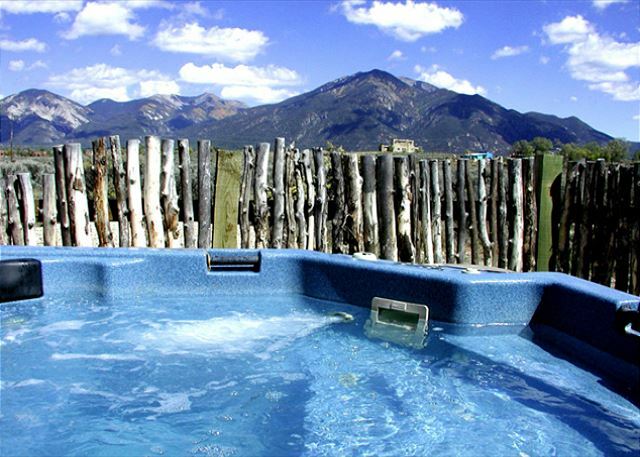 You will love the hot tub views and relaxing atmosphere! BEAUTIFUL! 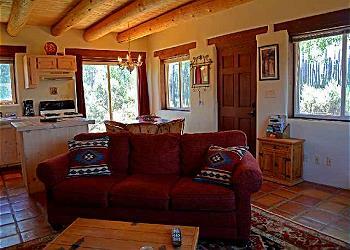 THE VIEW WAS FANTASTIC AND THE HOME WAS VERY CLEAN AND SO RELAXING. 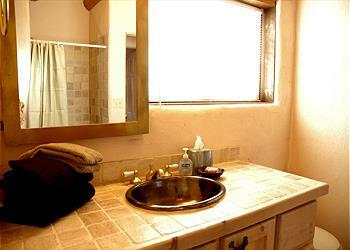 - Jay K.
This place exceeded our expectations. The location was perfect. Quiet,secluded, and very charming. Everything was very clean. We did a lot of cooking at the house. Which worked out great, because the place was very well stocked. 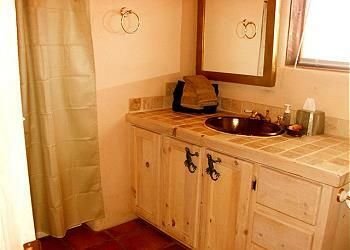 Sat by the fireplace at night, followed up with some time in the hot tub. What a relaxing, charming, casita. The view of the mountains was fantastic as well. We will definitely return to this place..! - Jeff D.